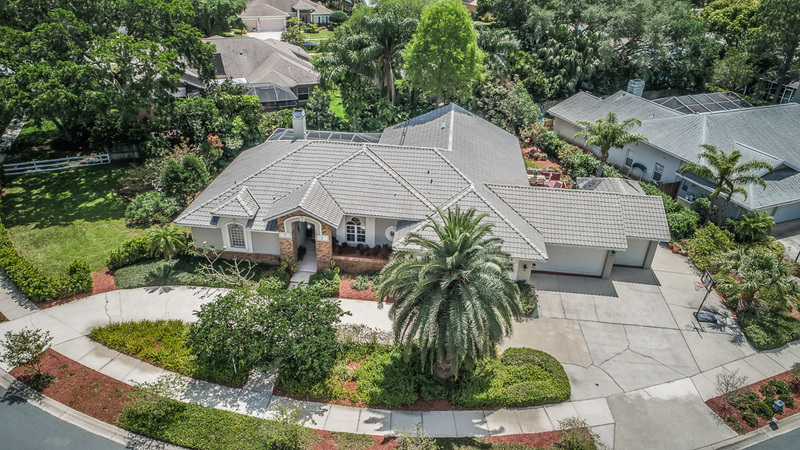 Situated on a corner lot in Delightful Dunedin, a circular driveway is framed in foliage offering a welcoming entree to this exquisite, 6-bedroom, 4.5 bath, 3-car garage residence. Freshly painted both inside and out, a stately brick portico flanked by ornamental stonework and distinctive window designs introduces a unique floorplan that suits the eclectic architecture synonymous with this town. The formal dining room and living room complement each other beautifully: classic pillars, a stunning wood-burning fireplace, and hardwood floors. Topped with decorative molding it features elegant french door access to the screened-in pool. Several renovations highlight the sunny and bright eat-in kitchen with: french doors to the pool, recently tiled backsplash, new pendant lighting fixtures. All appliances, including washer/dryer and both refrigerators are newer, with a new dishwasher. The inviting family room boasts recessed niches to showcase photos, while keeping the space open to any furniture configuration. Sliders reveal a tranquil outdoor oasis. Along with tons of room for lounging and outdoor dining, oversized planters give the deck character which overlooks the lush, sun-dappled backyard. The home’s master suite is a spacious haven complete with: step-up soaking tub, newly re-tiled shower, massive closet, windowed sitting area, and private pool entrance. 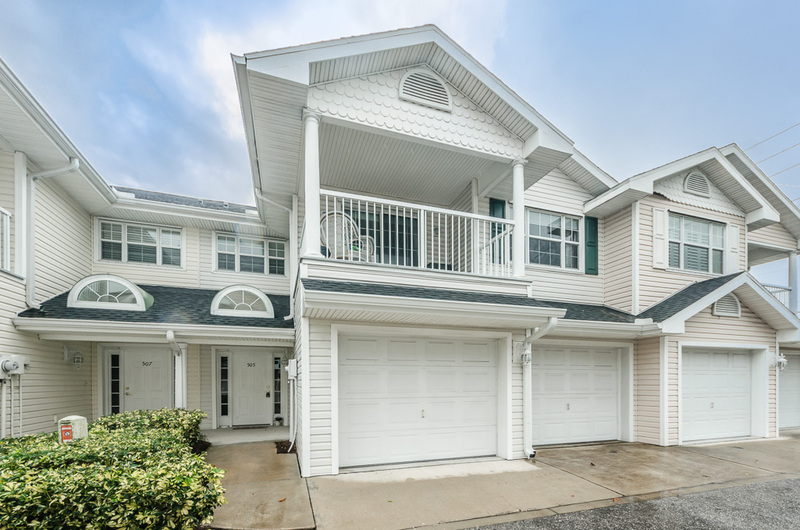 Besides an in-law suite, pluses include: three-zone air conditioning, recent pool resurfacing and pump replacement, and water heaters replacement.